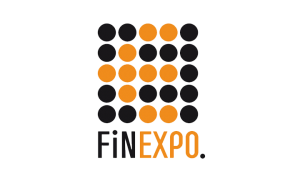 FinExpo is a company that organizes finance-related conferences, exhibitions, and trade shows around the world. Entering the market in 2002, the company’s events have attracted over 50,000 participants and around 3,000 companies from countries that include Russia, Singapore, and China, among others. FinExpo’s most popular event types are its conferences, which aim to facilitate the sharing of ideas between companies and specialists in their respective fields. The company invites industry leaders to spearhead seminars, workshops, and master classes to participants that include senior executives and business owners. At the same time, attendees have the opportunity to bolster not only their business knowledge but also their networks while enjoying the hospitality of these events. The company also hosts trade shows and exhibitors that attract traders, investors, and financial advisors all over the world. These events give attendees the chance to meet the best trading experts and representatives from the top financial institutions. The company boost the participants’ enjoyment of these trade shows and exhibitions by adding entertainment such as lucky draws, live performances, and magic shows. Apart from these events, FinExpo hosts award shows, its most popular ones being Forex Expo Awards and Traders Fair Awards. Some of the goals of these events are to recognize the best names in the industry and to increase interest in new and developing projects. The company ensures that these award shows are as festive as possible, adding talented showmen, photo sessions, and more that would make the events memorable.